Meet out team of trainers, who can pass on knowledge in a professional and memorable way. A graduate of Psychology at the Faculty of Philosophy of the Jagiellonian University. 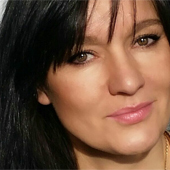 A Certified Trainer of the Polish Psychological Association of the 1st degree. A graduate of the School for Management Trainers and Consultants MATRIK, with cooperation with the Thames Valley University (UK). 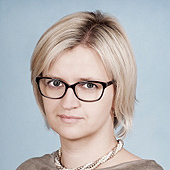 A Certified Personal Consultant and a Business Trainer granted by the supervisor Elżbieta Sołtys of the Polish Psychological Association (2006). 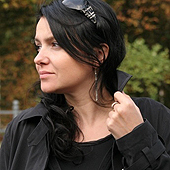 A graduate of the Interpersonal Training School of the Training Consulting Group conducted by the PTP supervisor – Halina Nałęcz-Nieniewska (2008). 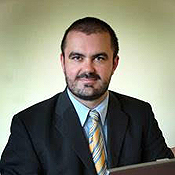 A graduate of the Trainer Competence Range conducted by Pracownia Psychologiczna Elżbieta Sołtys Jan Robert Sołtys 2010. A specialist of Counselling Gestalt (a graduate of 3-year Counselling Gestalt School of the Institute of Education and Personal Development and Associazione Italiana di Counselling in Florence and the complementary programme “Gestalt therapist identity” of the Institute for Integral Gestalt Psychotherapy, Cracow 2011. A management trainer and a consultant. Higher education at the Jagiellonian University in Cracow (M.A. in applied psychology). A graduate of Szkoła Trenerów Zarządzania (Management Trainers’ School), organized by Stowarzyszenie Trenerów i Konsultantów Matrik (2006),Trainer Competence Range organized by Pracownia Psychologiczna and the Intercultural Trainer Program. She is active in the Association for the Education of Adults. She cooperates with the Jagiellonian University Training Centre. She conducts workshops from: managerial skills, professional presentation, change implementation, time and stress management, as well as effective communication. As a consultant she has implemented Assessment and Development Center, talent management projects and surveys of employee opinions. Hobbies: good movies and leisure activities (snowboard, skiing, sailing). A certified trainer (BTEC Professional Certificate in Training, Learning and Development (International), a consultant (First Certificate in Organizational Development Consulting (FCODC) and a coach (Ericksson College Certificate ACSTH ICF). A Management Board Member of the Association of Management Trainers and Consultants MATRIK. Her professional experience includes, inter alia, working in an international conference center in Switzerland, where she used to manage design teams and was a co-organizer of many conferences. She also worked as a training project coordinator, translator and interpreter, a lecturer. She was a specialist in management, a manager, she also worked sales and customer service. She has been involved in the IT and production industry in training and consulting projects for many years. Sylwia also is a mountain guide and a paramedic. She is an author and an assessor managing several dozen projects for assessing employees’ potential and developmental recommendations. A graduate of Psychology at the Jgiellonian University. A certified coach (Certified Professional Co-Active Coach) with accreditation of the International Coach Federation. A graduate of The Coaches Training Institute (CTI). Organization & Relationship System Coach (Organization & Relationship System Coaching-ORSC). A facilitator of the method Team Diagnostic Assessment (TCI). A trainer with the international Management Trainer Certificate – Edexcel I BTEC. She has gained business experience as a trainer, a consultant and an HR project manager in the field of employee assessment and development, talent management, managerial competence development for 14 years. She has experience in conducting action learning teams. The author of many publications in the field of HR and coaching. She also conducts relationship and team coaching, as well as coaching skill workshops. Customers value her for the ability of precise identifying objectives for developmental work, motivating and inspiring to improve oneself, a sense of humour and skills of building a relationship with a customer, which supports development. Hobbies: travels with a challenge, active leisure, Japanese culture; she values good books and movies, as well as work/life balance. In her private life she loves dancing, sport and India. A trainer, a consultant, who has been conducting managerial training courses for eight years on: managerial skills, conflict management, assertiveness, communication, and team work. She has 8-year sales and managerial experience and perfect communication skills. He supported his practical skills from his professional work with knowledge gained in the School of Psychology and Interpersonal Communication in Bielsko-Biała. 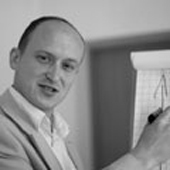 He is a certified practitioner and a master of the Neurolinguistics Programming (NLP), as well as a Certified Business Trainer and a Personal Advisor of Pracownia Psychologiczna Elżbieta Sołtys. He also has the title of a trainer of Małopolska School for Organizational Trainers. He considers open communication and attaining assumed objectives together as the most important aspects in his training work and also in his private life. Therefore, he combines acting with joyful spontaneity. He loves mountains, which he keeps discovering, climbs them and explores their mysteries. A graduate of the University of Economics in Katowice, Advanced Certificate in Marketing (UK), MBA Oxford Brookes University, of the programme Marketing Training in Orlando (USA) and several post-graduate studies. A practitioner with 10-year experience in big multinationals; he mainly specializes in strategic marketing. A certified consultant and trainer of the Chartered Institute of Marketing. 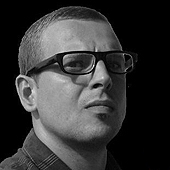 He is the author of many articles and books: „Wskaźniki marketingowe” and „Jak szybko napisać profesjonalny plan marketingowy”. He created more than a dozen own simulation games on strategic management, marketing, sales, simulation of production processes and procurement. A creativity trainer, a pedagogue, an author of creativity developing programmes, culture animator. A graduate of the Polish Philology at the Jagiellonian University, she studied the School for Trainers of Wszechnica UJ. 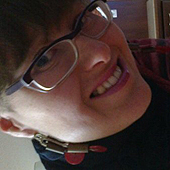 She is involved in Ośrodek Twórczej Edukacji “Kangur” (Creative Education Centre “Kangaroo”) and Exprofesso, where she co-created games, integration programmes and training projects. Together with Monika Dymacz-Kaczmarczyk she prepared the programme „Wiosna Innowacji” (Innovation Spring) involving employees from different levels of the production industry in creating innovative solutions. A certified trainer of the programme called the Odyssey of the Mind. She is happiest when she works with groups or conducts classes with children and also when she has time to write books for children. As a hobby she supports museums to implement innovative ideas in newly prepared sightseeing paths. She finished psychological studies at the Jagiellonian University. He is an adjunct at the Institute of Psychology of the Jagiellonian University and the School of Social Sciences and Humanities now. He has been conducting training courses of basic psychological skills for over 10 years. He specializes in creative problem solving. He has implemented many training projects regarding application of creative techniques in marketing (and related fields: strategy, PR, advertising). 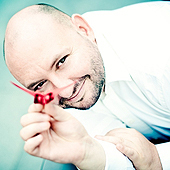 He is not only a trainer, but also a moderator of team work, creatively supporting marketing departments. 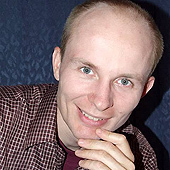 He is a co-author of the book „Trening twórczości” (2005), which is a practical guide for trainers and moderators. A graduate of the Faculty of Management of the University of Economics in Katowice. A trainer of Training Partners, specializing in two training areas: team (management, communication, building, integration) and simulation games. 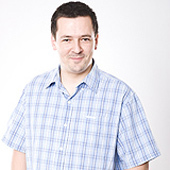 He is considered as one of the best Polish trainers in the field of simulation and strategic games. The President of Polskie Stowarzyszenie Trenerów Outdoor (Polish Association of Outdoor Trainers) and a certified outdoor trainer in: outdoor games, rock climbing and rope techniques, paintball and shooting, skiing and snowboard, survival, exotic incentive trips. A member of the British Institute for Outdoor Learning. A graduate of Maria Curie-Skłodowska University in Lublin at the Faculty of Organization and Management. He also has a PhD degree in economic sciences. A versatile trainer with the certificate of the Management Trainer issued by Edexcel. He has long experience in preparing and conducting training projects in the scope of: communication, team building, managerial skills, building cooperation, change management, and project management. 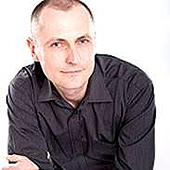 He is the author of many articles mainly devoted to effectiveness of employee teams. He has finished many specialist courses devoted to improving managerial skills or effective trade negotiations. A graduate of the Wrocław University of Economics. He has long practice and sales and managerial experience in the world of FMCG multinationals. He used to work as a regional manager (retail, wholesale, HoReCa, retail chains), a National Coach and a Training Department Manager. He has been conducting training workshops as a trainer, a coach, and a consultant for companies from the national and private sectors for 5 years. He specializes in the field of human resource management, personal development and broadly understood effective linguistics and influencing. He has a trainer’s certificate of the Warsaw Institute of Neurolinguistics and Insights Discovery. He is a lectures on post-graduate studies in Tischner European University in Cracow and Akademia Mistrzów Treningu (Training Master Academy). A trainer of interpersonal competences, an internal trainer. A graduate of the Human resources Management at the AGH University of Science and technology and post-graduate studies. A Business Trainer and an Organizer of Training Courses in WSE (Tischner European University) in Cracow, a member of Stowarzyszenie Konsultantów i Trenerów Zarządzania MATRIK (the Association of Management Trainers and Consultants MATRIK), a participant of the Małopolski Club MATRIK. He has over ten-year experience in building and managing teams of employees, customer service, conducting marketing and promotional activities. He has been conducting training courses in interpersonal competences for four years, such as communication, assertiveness, negotiations, cooperation in a team, resolving conflicts, employee management, creativeness and creative problem solving. He also conducts numerous integration activities for different professional groups. He has prepared many self-designed training projects. He has cooperated, inter alia, with organizations associating health professionals. A coorganizer of Absolwencka Inicjatywa Trenerska (Graduate Trainer Initiative) at the Tischner European University – an organisation associating trainers, who deal with developing modern training methods. His passions are communication in all forms and exploring dynamics of teams and their dominance in acting. He is also interested in the topics of motivating and initiating creativeness of employees. A business trainer, an experienced business practitioner. He finished the studies at the AGH University of Science and Technology and the MBA studies at the Stockholm University. A graduate of Szkoła Trenerów Zarządzania (Management Trainers’ School) SKiTZ MATRIK. He finished the school for trainers “Train the Trainer” and the school for coaches Erickson College International (“The art & science of coaching”, the certificate /ACCP/ and the course in team coaching). He has a trainer’s certificate EQ5 – of Wszechnica UJ. He is a lectures at the Post-graduate Studies at the University of Lodz. The editor of the “KNowHow” magazine. He has long business experience in the corporate environment, gained on managerial positions in different industries: IT (Marketing Director CDN–Comarch, Strategic Advisor – Ericpol) and HRM (AdComm Manager – Hudson Global Resources). He works with teams at each level of management. He conducts managerial training courses in the scope of personal development and career planning. He conducts classes for specialists working in project groups, permanent teams and dispersed structures. Moreover, he is an assessor of the Assessment and Development Center. He facilitates groups with the method of Action Learning, Group Coaching, as well as reflecting Teams and Case-In-Point. A trainer, a coach, a consultant, a professional moderator. He is a graduate of the Sociology with the specialization in the organization and institution structure and operation at the Nicolaus Copernicus University in Toruń. 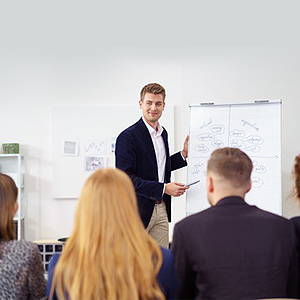 He completed The Art And Science of Coaching on the Erickson Coaching Collage of Vancouver and has conducted 1000 hours of coaching on different organizational levels (from top management to line employees). 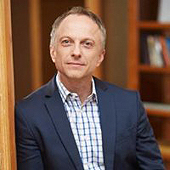 He specializes in personality typology, finding and using potential of unique talents of individual persons by working on the basis of the MBTI® model, whose certified practitioner he is. He has broad experience in working with organizations in difficult situations: internal conflicts and divisions, transformations and restructuring, and rebuilding teams. 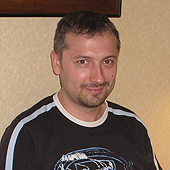 He creates and uses his own games and in particular, he prefers card games.